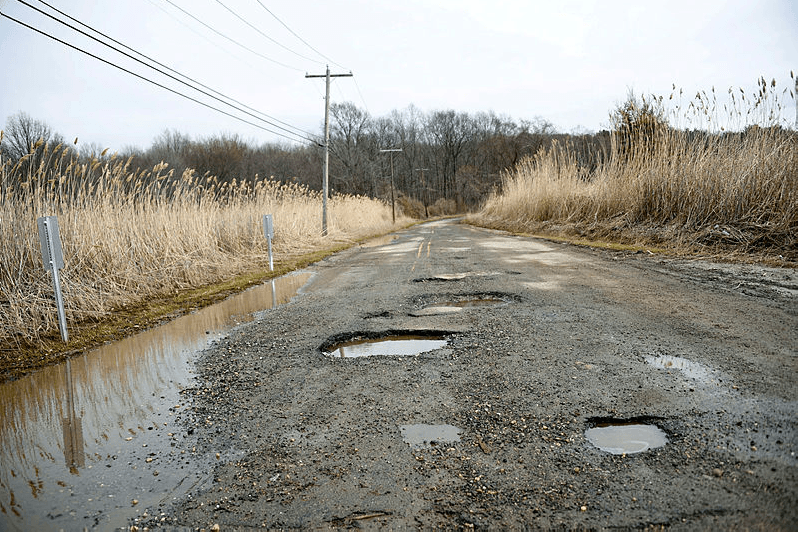 Where are potholes mostly located? Potholes are less likely to occur on roads, parking lots, and driveways when the top coat of asphalt (HMA) is 4 inches deep or more. 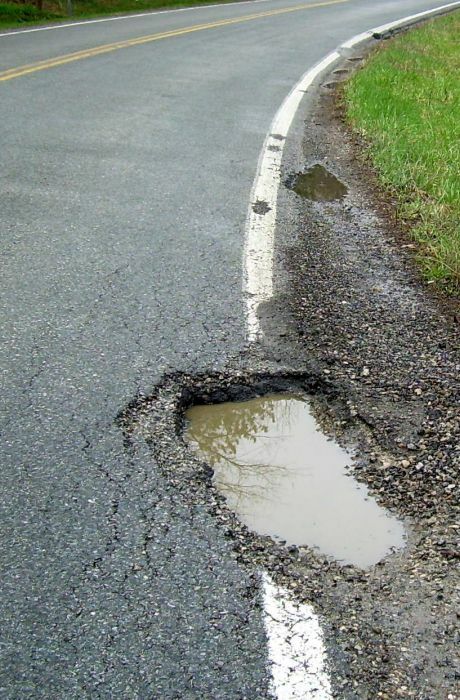 Potholes generally form as the result of fatigue cracking. Fatigue cracking is a series of cracks caused by repeated wear and tear from traffic. Water has penetrated the edge of the roadway. How are potholes formed? The formation of potholes begins as cracks form in the asphalt which allows water to seep down into the ground and the base layer of asphalt. As temperatures get colder, that water freezes, which causes expansion inside the pavement. When the temperatures become warmer and as the ice melts a bubble is left in the pavement. As cars drive over those areas the asphalt crumbles into the cavity. Raveling – This is caused by traffic, heating and cooling, UV rays, and oxidation. You can see the surface becoming rough with possible loose gravel present. Cracking – This is caused by constant abuse of vehicles and equipment which allows water to seep into the surface. Fatigue Cracking – When cracks begin to intersect which is the beginning of potholes. Rutting – Where vehicles and equipment drive along the roadway or in a parking lot repeatedly, which causes compression and distortion of the road base.